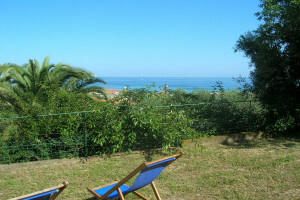 Enjoy both activity holiday and relaxing holiday during your stay in Pietra Ligure in Liguria, Italy. The forest wood from the hinterland is very well suited for ship construction. In this way, and coupled with the sand beaches, a perfect foundation for successful sea trade developed. 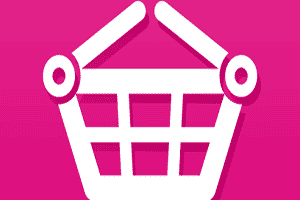 Besides tourism, this is also one of the key economic factors influencing the town today. 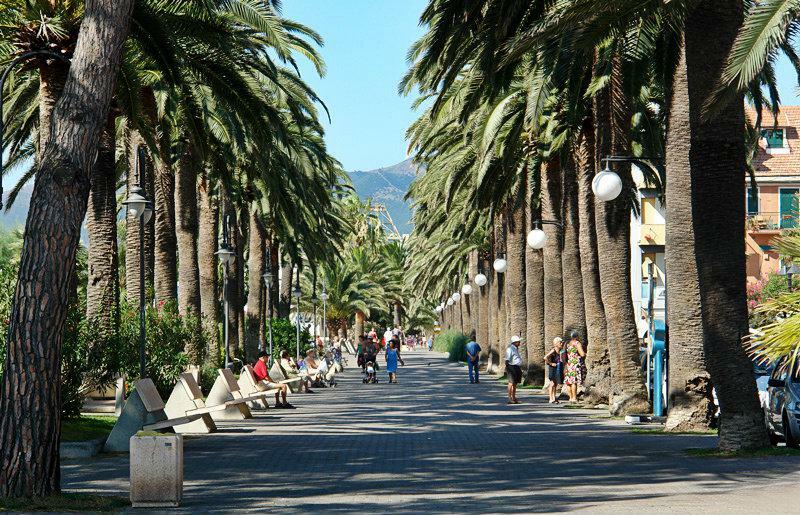 The sea promenade in Pietra Ligure is wonderful. Besides the palm trees, the coastal promenade simply looks attractive. 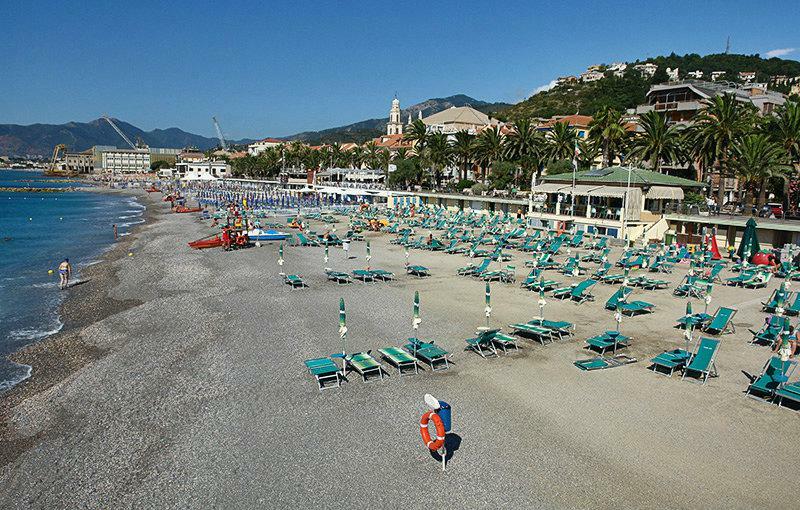 The lidos are a welcome variation to the many sports and leisure activities which Pietra Ligure has to offer. 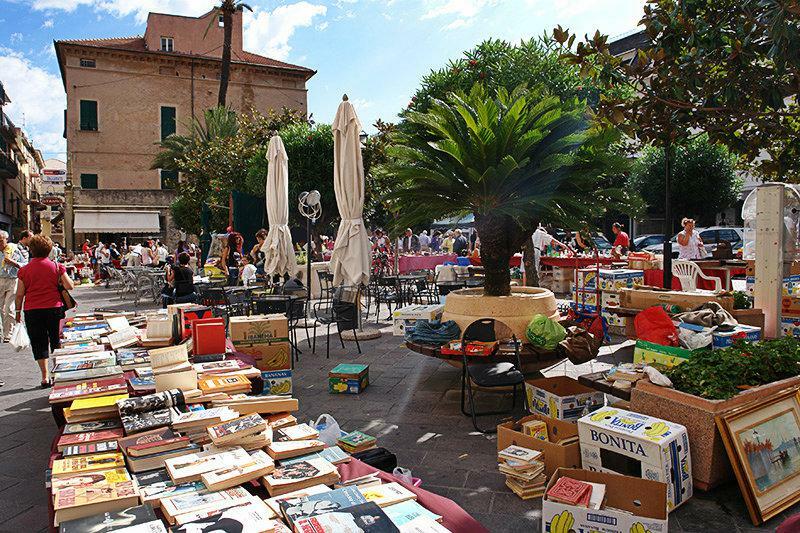 There is a wide variety of activities for you to choose, and they include tennis, boccia, antiquity markets, discos, open air concerts as well as different folk festivals. 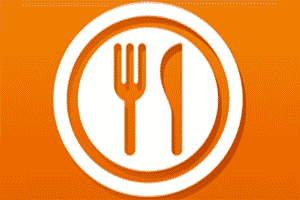 However, whoever prefers to enjoy his/her vacation on the beach and needs some replenishment from time to time, can do so in the many beach bars with different Ligurian delicacies. 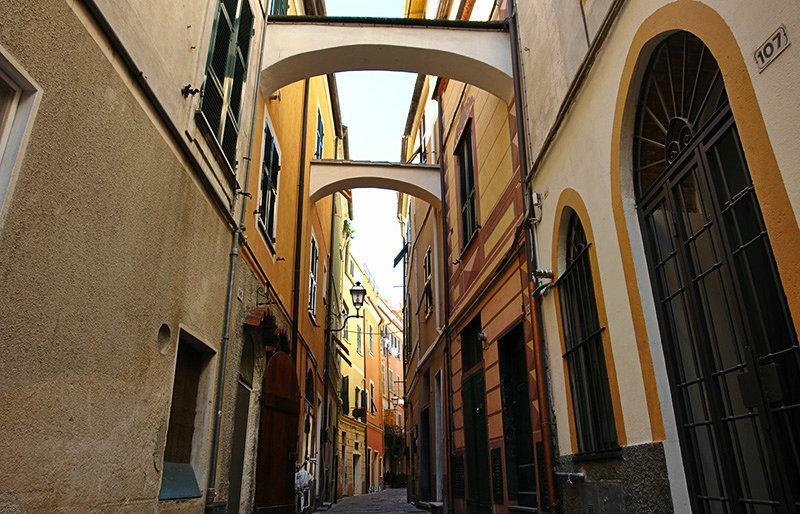 The old town is definitely a recommendable attraction in Pietra Ligure. 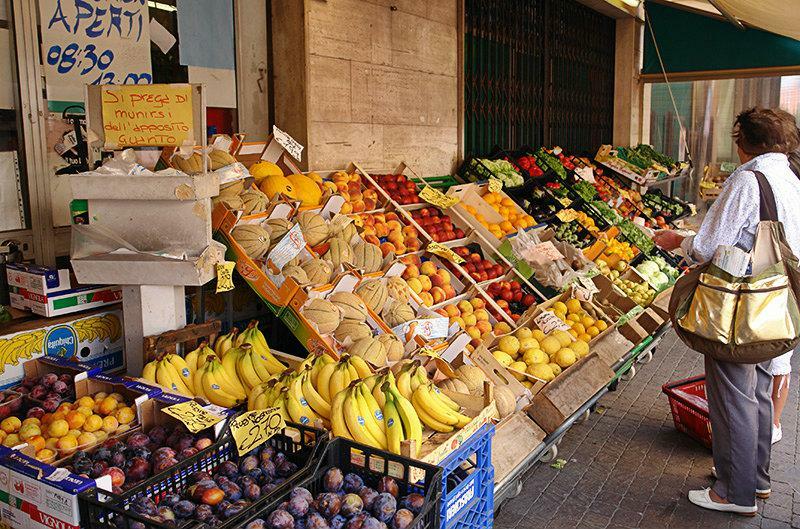 If you stroll through the lanes and streets of the centre you will come across beautiful Palazzi which date back to mediaeval times and the 18th century. You will find there, for example, the Palazzo Leale-Franchelli with fresco decorated interior rooms with a large-roomed library and a printing and porcelain collection. 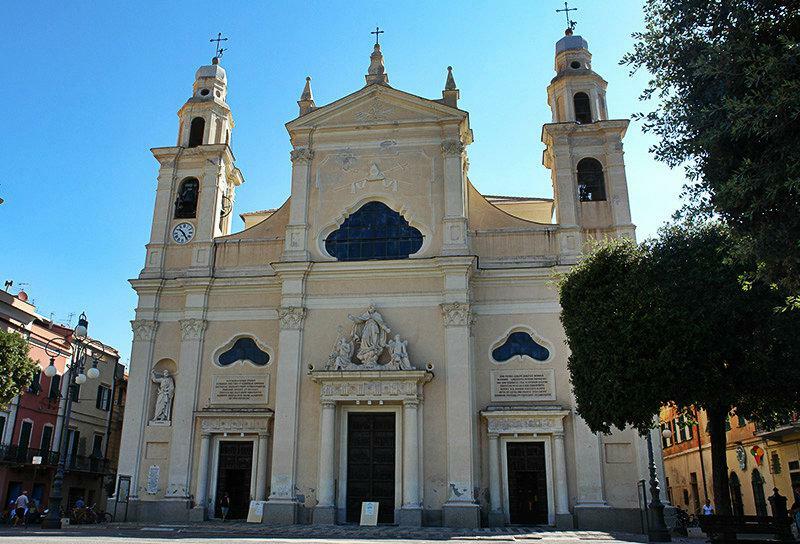 Also dating back to the 18th century is the Parish Church of San Nicoló di Bari with its two bell towers; together with the Annunziata this church is ranked among the most beautiful churches in Pietra Ligure. The town has something to offer both to both the old and the young. 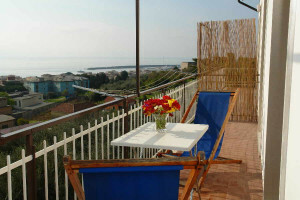 Pietra Ligure is very much suited for an eventful holiday in a holiday house, for example in the beautiful village of Ranzi. Besides the wonderful activities, the mild climate and the unique landscape, arrival by car is also possible without any problem. 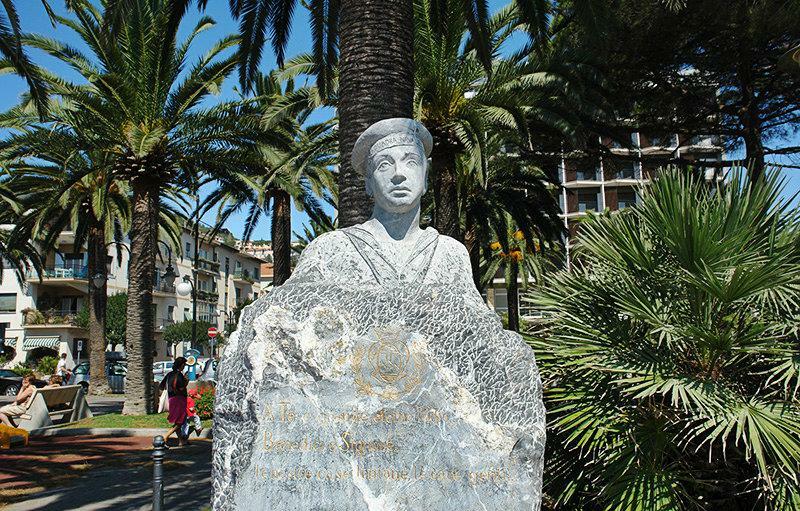 The nice small town of Pietra Ligure, which lies between Imperia and Savona on the coast of the Liguria sea got its name from a big limestone. It is said that a fortified settlement, „Castrum Patrae“, which today belongs to the town of Pietra Ligure, grew from this rock many years ago. Because of the favourable location of the town, mild climate is experienced throughout the year. The town is protected from wind on its lee side by the mountains. 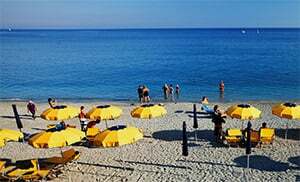 Pietra Ligure belongs to the municipality of Ranzi and is a village in the province of Savona which lies in the Liguria region. 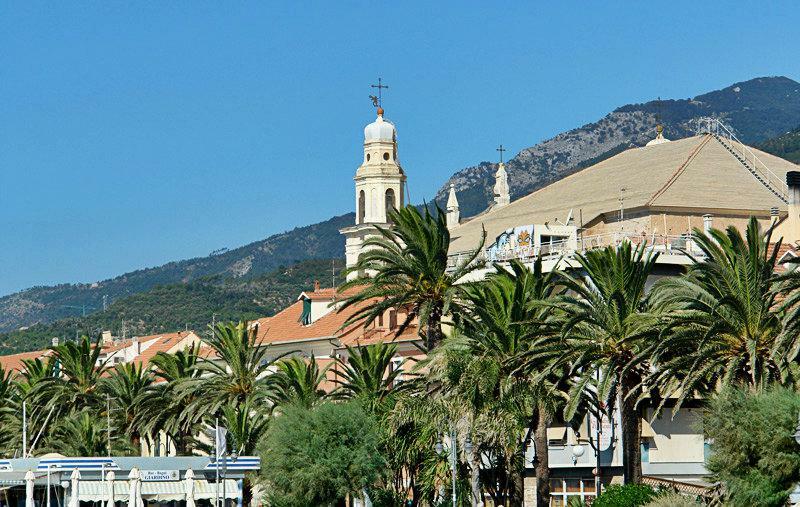 There are several other villages near Pietra Ligure, for example: Verezzi (5.8 km), Loano (3.3 km) and Foresto (5.2 km). 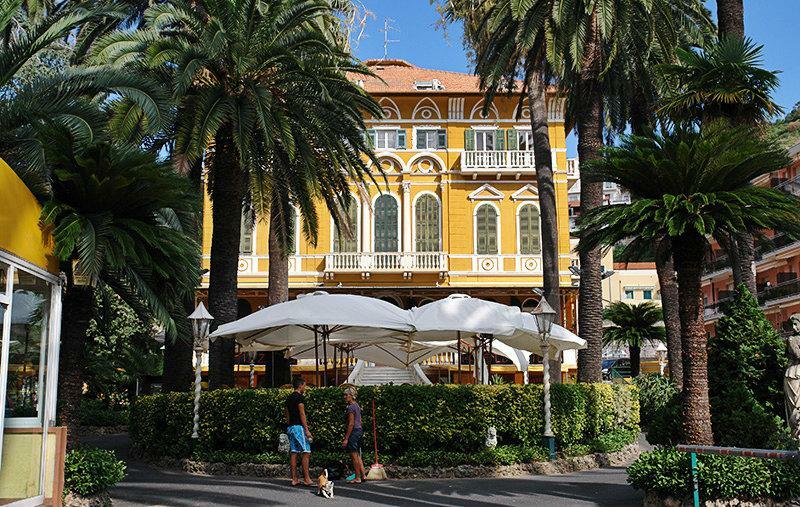 Take the highway exit to Pietra Ligure when coming from Genoa and then change to the SS1. You will then turn left towards Pietra Ligure.